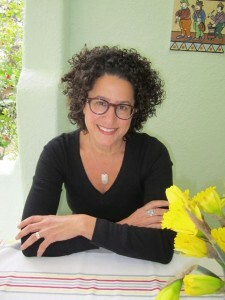 DearEditor.com’s Revision Week kicks off with Marla Frazee, bestselling author and illustrator of more than nineteen picture books as well as the winner of numerous awards, including two Caldecott Honors. Marla wields both words and pictures, and her insights into the revision process are a wonderful way to start the week. Please join Marla and The Editor for Day 1 of Revision Week, and find out how to win today’s “Free Partial Edit” from The Editor. Marla Frazee was awarded a Caldecott Honor for All the World and A Couple of Boys Have the Best Week Ever. She is the author-illustrator of Roller Coaster, Walk On!, The Boss Baby, Boot & Shoe, and the upcoming The Farmer and the Clown, as well as the illustrator of many other books including The Seven Silly Eaters, Stars, and the NYT bestselling Clementine series. 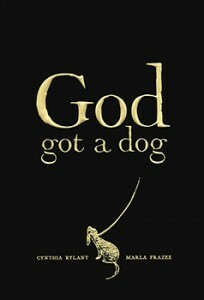 She most recently illustrated God Got a Dog by Cynthia Rylant. For 20 years, Marla has “paid it forward” by teaching children’s book illustration at Art Center College of Design in Pasadena, CA. I’m a huge Marla fan. In fact, Christmas isn’t Christmas for my family without multiple readings of her Santa Claus the World’s Number One Toy Expert. *Marla’s interview follows the Rafflecopter form for today’s Free Partial Edit Giveaway. Scroll down for her full interview. When you are both the author and illustrator for a book, does the story start its development as words or pictures? For me, it usually starts almost by accident with a doodle of a character. Or two. Once a character has my attention, I spin out possible stories and scenarios. For a while, this all plays out in my head –– like a small movie. If I start to get bored with it all, it fades away. But if I remain intrigued, I keep at it. Once I’ve got my teeth in some storyline, I will draw a little and/or write a little until something starts to take root. This can take a few days or weeks or years. How many drafts does it typically take before you feel confident about the character and story choices you made? Countless. I mean it. I have NO clue. A lot. Over 10? Yes. Over 25? Maybe. Over 50? Sometimes. I don’t ever save them all because I get a lot of satisfaction out of trashing things. Do you use critique partners? I am the flake member of an awesome critique group. We’ve been meeting once a month for over 20 years. Or they have. I love the friendship, the camaraderie, and the trust that has developed between us. I mean, they tolerate my inability to be a consistent attendee and never, ever make me feel bad about it. Sometimes, when I go, I go to talk about work. Can you share an experience of having a story problem you didn’t think you could solve but eventually did? When I was working on the initial thumbnails and sketch dummies for Boot & Shoe, I felt the story could’ve been more easily told as an animated cartoon. There were two almost identical dogs who hung out on different sides of a house, chased a squirrel around the house, got confused and turned around, and then couldn’t figure out where the other dog was. It was a story that required a lot of action in the pictures and needed a lot of directional clarification, but I was trying to tell it in a form where pictures are still and the action moves primarily from left to right. I puzzled it out for many weeks. I almost gave up a number of times. 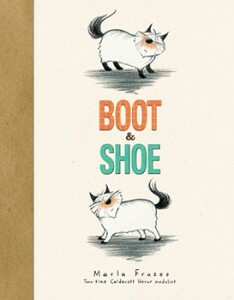 I’m so glad for that insight into Boot & Shoe, one of my favorite picture books. What’s the most drastic thing you’ve done to a story while revising? The most drastic thing? I got the idea for The Boss Baby and it seemed really workable. I thought it was going to write and illustrate itself, honestly. It felt as if the idea arrived fully formed. But the more I worked on it, the less excited Allyn was about it. I couldn’t figure it out. It seemed as if the project was going to die a slow, anguished death. But the character still kept cracking me up, so I knew there was something there. I renamed the character and book “The Little F***er” and started over again. I worked on a tiny sketch dummy in the corner of a local coffee house, hoping that no one would ask to see what I was doing. Recasting it helped give the project the edge it needed, ultimately. I still have “The Little F***er” artifact, in case anyone would like to check it out. How do you know you’ve got the final draft? It isn’t ever completely final. Eventually we run out of time. The trick is to allow enough time in the schedule so that we can catch as much as possible before we’ve got to wrap. Thank you so much, Marla, for sharing your revision process! What an awesome opportunity. Thanks for everyone who’s making this happen. I’m with you, Theresa – so grateful to these amazing authors for participating. I think it’s fabulous fun to peek into their creative processes. This is my first Revision Week and I’m in the middle of a revision, so I’m. So. Excited. Thank you for doing this! Oh, yay. I love timing like that. Hope your revision is going smoothly, Shelly. Loved reading about Mara’s process. Thanks to all! Me, too, Katy. I almost gasped when she shared that she almost gave up on Boot & Shoe numerous time. I LOVE that book! 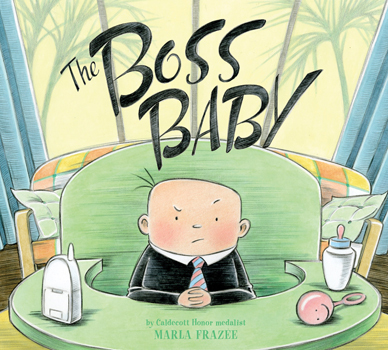 What a hoot that Marla renamed “The Boss Baby”! Sometimes a bit of irreverence gets you where you need to go. I laughed when I read that, too, Charlie. What a clever way to break through the wall. I happen to have The Boss Baby checked out from the library this week. I’ll never look at the book the same way again after reading Marla’s story. LOL Seriously, the story has some great lessons about revision – learning to see with new eyes, trying new things…thanks for sharing the history. I know a lot of avid doodlers who will be thrilled to learn that Marla often gets a story idea from a character doodle! I <3 BOSS BABY, no matter how ornery he gets! One of my sons adored “A Couple of Boys Have the Best Week Ever.” I must have read that book to that “Little F***er” 5477 times (but who’s counting, right?) I bow to Marla Frazee for making the story and illustrations so subversively enjoyable for adults as well as kids. I never once went off my rocker during the multiple readings which, dear friends, is not always the case. Now THAT’s when you know you’ve got a great book on your hands. Dad and son BOTH happy 5477 times into it. Great interview, thank you. I’m not an illustrator, but lately I’ve been finding story ideas from some of my doodles. Now I keep paper and a pencil next to the laptop and whenever I get stumped, I let my mind drift with a pencil! I best most writers wouldn’t think of doodling images as a way to triggering the word-flow. Fabulous tip. That anecdote really struck me, too, Teresa. I recently felt stuck on my WIP and, in a moment of frustration, rewrote the opening as a string of curses from my main character. Suddenly the clouds parted and rays of sunshine beamed down from the heavens. I’d had no idea she was that angry. I know have an understanding that makes the story break open for me. My protagonist won’t be a cursing lunatic in the final book, but I now feel like I know my path. I may change my working title to “The Little F***ker” in homage to Marla and the inspiration she gives us all. I just checked out Boot and Shoe on Saturday. We loved “Boss Baby” (Great revision story!) and “A Couple of Boys Have the Best Week Ever.” Love her work! Great interview. I love knowing more about how other writers think and work. And, I have Boot and Shoe out from the library right now! Oh, ho, ho! Love the turn ‘Boss Baby’ had to take to squeeze the truth out of it! Thanks so much for your honest answers. It’s great to see that an established author/illustrator still has frustrations. I loved Boss Baby already, but now I love it even more. 🙂 Thanks for the great post! I have a Big B**ch in my current WIP and I love her feistiness but I felt a little bad calling her names. Now I will own it! Thank you all for your enthusiasm for Revision Week. I get to report the first winner, this one for Monday’s free partial edit giveaway: Noa Nimrodi. Congratulations, Noa! I’ll send you an email directly. When critique partners are the perfect fit, it’s a beautiful thing! They say the hardest part of learning is practice. I love the reminder that everyone at every level of “success” must practice. Previous Post Previous post: Welcome to DearEditor.com’s 2014 Revision Week!